2 great surgeons at one great location! 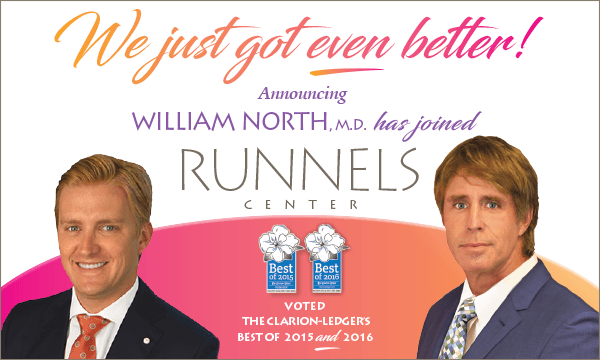 William North, MD has joined the Runnels Center! our commitment to bringing only the best to Mississippi. So we're pleased that William North, MD, Jackson native and UMMC alum, has returned to his medical home and chosen to practice with us. He brings back experience from one of the most prestigious teaching universities in the country, the University of Kentucky in Lexington. Dr. North will begin accepting patients in August and we're excited that he's bringing his skills and knowledge to the Runnels Center.